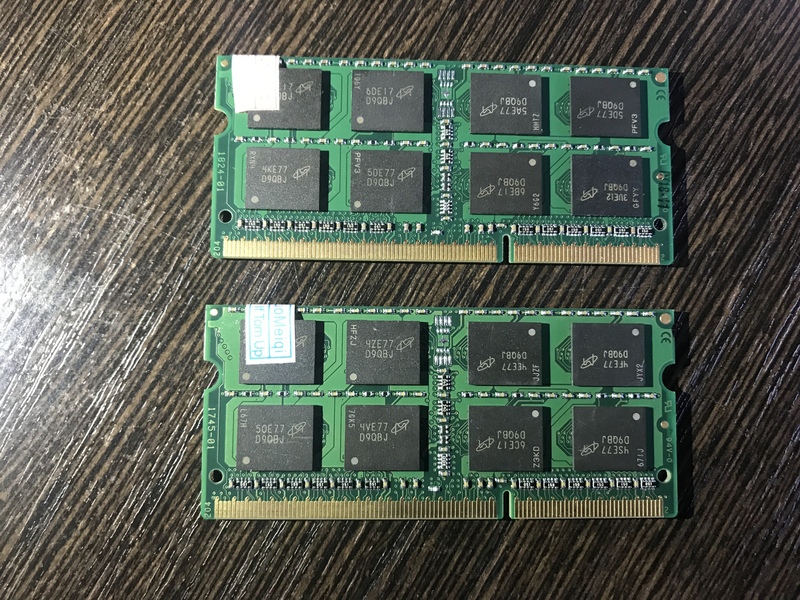 What is wrong with this memory? 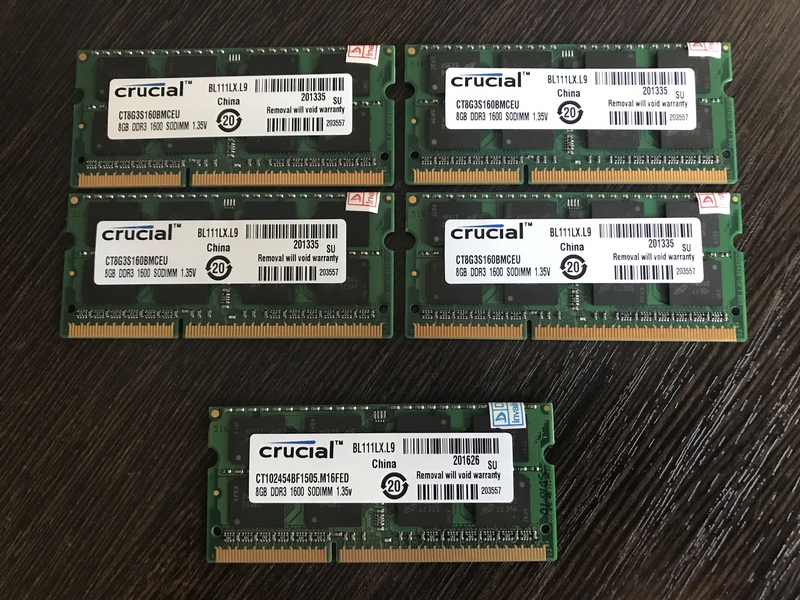 I purchased 4 pieces of DDR3 SODIMM Crucial CT8G3S160BMCEU 8GB 1600MHz 1.35v for my Mac mini and iMac. The information that I checked on your site and the site Apple claims that there can be no compatibility issues, nor with the volume with any other parameters. When I install them in the Mac (it does not matter Mac mini or iMac) it does not load! I see that the power indicator lights up, the coolers start working, but the monitor does not turn on. This happens regardless of the slot in which I install the memory and in what quantity. If only this memory is in the Mac it will not turn on. Mac works if combine this memory with any other. Seriously, how does this even happen?! Since I do not know of programs for displaying details about the installed memory on MacOS and I do not have a PC with support for such memory, I had to install Windows through the bootcamp. 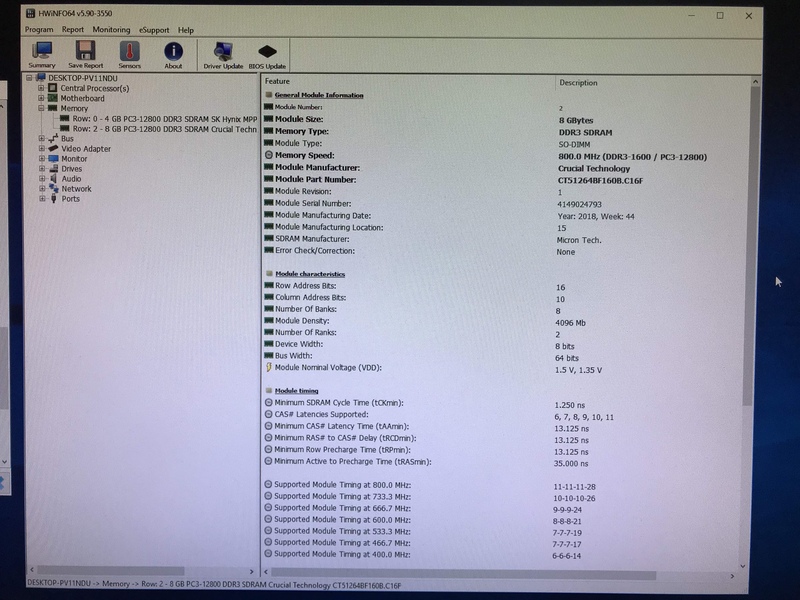 All the information below is obtained in the application HWINFO64 on Mac mini 2012 with W10 x64 installed. If you know a better way please let me know. 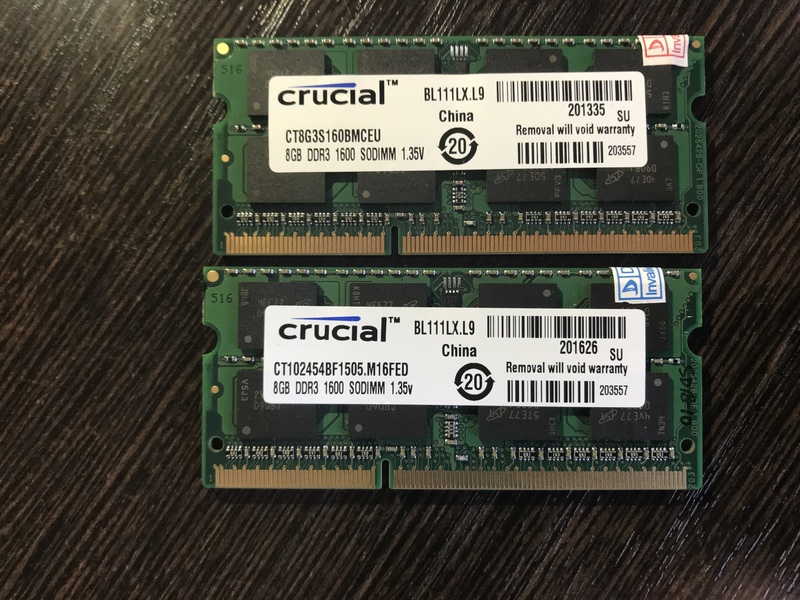 Re: What is wrong with this memory? All 4 items have the same serial number. Shouldn't it be different for each copy? Sorry, I could be wrong, but doesn't this parameter display the volume of a module or just a single chip? I am confused. And now I do not know what to do. If this is a legitimate product, can I apply for a warranty without having purchase documents? On the other hand, if you confirm that this is a counterfeit, it’s easy for me to resolve the issue with the seller. @asket I am sorry for the issues you have had with this RAM. For whatever reason, the photos you posted in the spoilers do not display for me. Will you please PM me these photos directly? I would be happy to investigate this for you and give you information on how to proceed if these memory modules are defective. The file example.jpg exceeds the maximum file size of 333K. Reduce the file size and try again. Otherwise, just offer any file hosting service you trust. Can you answer by serial number? This is a normal situation when different copies of the goods have the same number? Has anyone read this at all? I'm talking about serial numbers. Just wanted to pop in @asket and clarify these parts are indeed counterfeit, which explains all the conflicting information (serial numbers, part numbers) and the original problem. Since these are EU parts we don't have lots of experience with then, we as the US team. So I wasn't sure if the conflicting information we saw at first was normal for EU parts. That's until I ran some reports on the batch numbers of the parts. The biggest red flag for me is the manufacture date that's being reported. 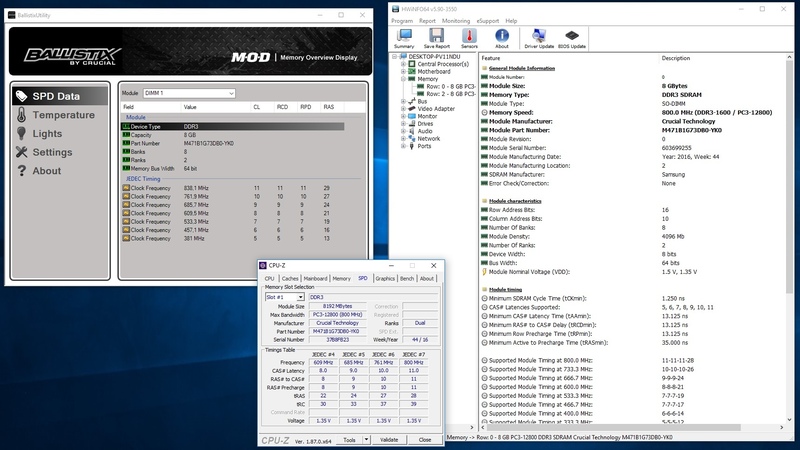 Your memory information screenshot you emailed us showed the parts were manufactured in 2018, when in reality the batch report I ran shows 2014. This is impossible, which means the label does not belong to the memory, so they are clearly counterfeit. I am very grateful for your help. Unfortunately, I made another online purchase from a similar seller, before I realized that I only needed to make purchases from reliable sellers. Some more images for you. Now I have one more suspicious memory and a some questions for you about whether I should worry about its legitimacy. 1. The Part Number is different on the label CT102454BF1505 and in the app M471B1G73DB0-YK0. Google says that the second option is a module from Samsung, lol. 4. The module has the same sticker in the corner as other fake modules. I really appreciate your time. Thanks for your help. Have a nice day.